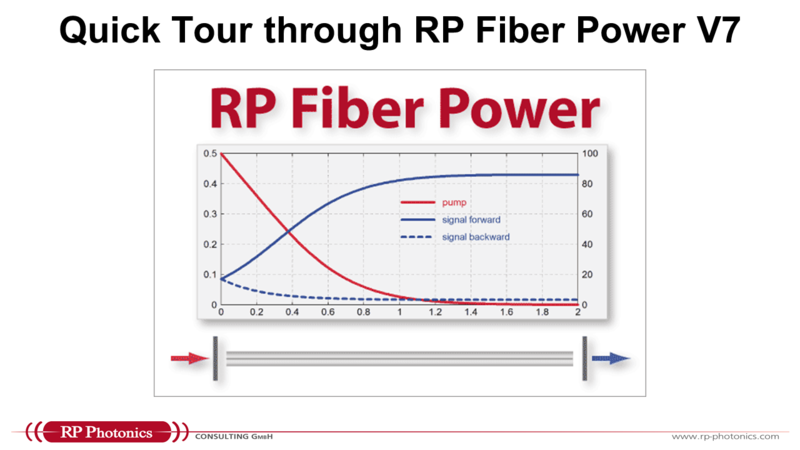 RP Fiber Power is a powerful modeling software for designing and optimizing fiber devices – in particular, fiber amplifiers and lasers as well as other types of waveguide lasers, but also fiber couplers, multi-core fibers, helical core fibers and tapered fibers. The software offers both efficient power propagation and full numerical beam propagation. 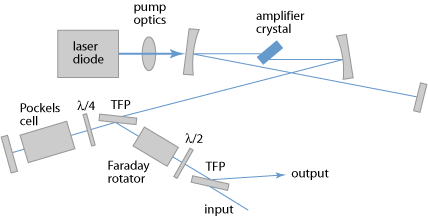 Ultrashort pulse propagation can also be studied, for example in fiber amplifier systems, mode-locked fiber lasers, telecom cables and automatically optimized pulse compressors. but at the same time (particularly since V6 with custom forms) also very suitable for users who are not (or not yet) experts in the field. It is a must-have for anyone seriously dealing with fiber devices – be it in industrial development, scientific research or in education. Its user interface combines uttermost flexibility with an easy start. It is therefore equally well suited for efficient routine checks and for most sophisticated simulation work. You can download the brochure in PDF format. Our demo videos (updated in 08/2018) give you a direct impression particularly of the handling of this software. You can verify that we have a high-quality user interface, making it easy for you to get started, and allowing you to set up even most sophisticated simulations. Learn about the software's features and the used physics model. See also our large selection of case studies and the video demos! Download the RP Fiber Power PDF brochure (45 pages). See also the frequently asked questions. 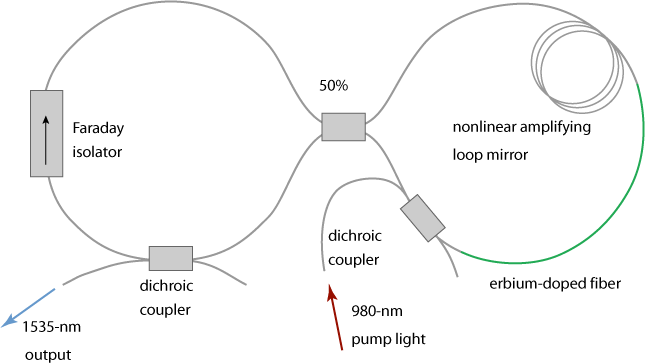 See our free tutorial "Passive Fiber Optics", for which the software has been used extensively, and also the tutorial "Modeling of Fiber Amplifiers and Lasers", which explains concepts and methods.